In January 2017, the North Carolina Community AIDS Fund granted $2,500 to support the distribution of the film “Thicker Than Blood” to various locations across North Carolina. The film was produced by Second Glance Productions, in partnership with the North Carolina Department of Health and Human Services, and CHISCA (Community Health Interventions and Sickle Cell Agency, Inc). It premiered on February 7th in recognition of National Black HIV/AIDS Awareness Day and was shown in Charlotte, Durham, Fayetteville, Greenville, Raleigh, and Winston-Salem on February 7thand 8th. In November 2016, the North Carolina Community AIDS Fund (NCCAF) granted $2,500 to support the Trinity House CLT’s Mind, Body & Spirit Program. Trinity House CLT is a community-based organization that was established in 2014 in Charlotte, NC. 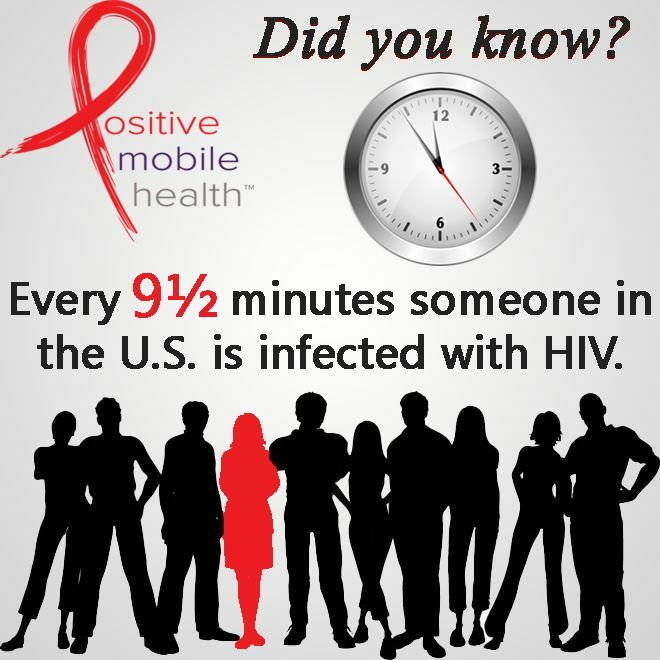 Its mission is to provide HIV preventive education; to offer compassionate support for those diagnosed and impacted by HIV, whose voices remain unheard and to provide services to the population most at risk of acquiring the virus; creating an environment that embraces the whole individual without judgment and with full acceptance. 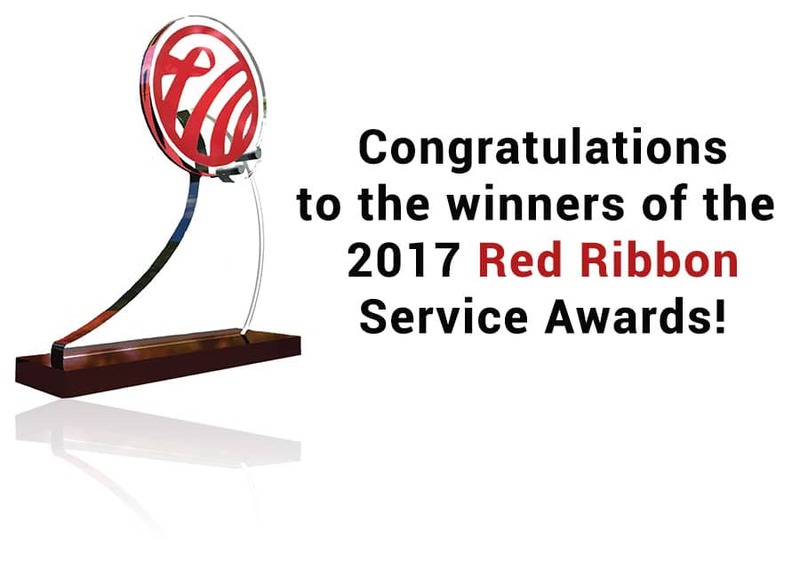 Congratulations to the winners of the 2016 Red Ribbon Service Awards! 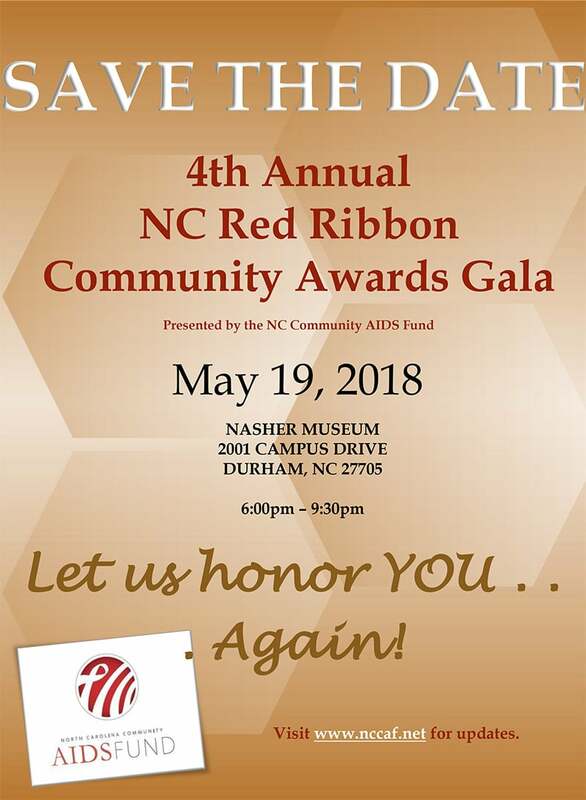 On Saturday night May 21st, 2016, the awards were announced and presented at the Red Ribbon Service Awards Gala sponsored by Janssen Pharmaceuticals which was held at the Nasher Museum of Art at Duke University. It was a great occasion and you should mark your calendars for the 2017 awards Gala for May 20th 2017! We are still open for donations to defray the cost of the event. Scientists identify markers on immune cells that ‘predict who can stop drug therapy and stay well’. The way a patient’s immune system responds to HIV infection could offer clues as to whether they will go on to achieve remission after drug treatment, scientists have discovered. The breakthrough sheds light on the phenomenon known as ‘post-treatment control’ – where the virus remains undetectable in some patients even after medication is stopped. The findings could open new avenues for understanding post-treatment control of the virus, and ultimately the eradication of HIV, Dr John Frater said. 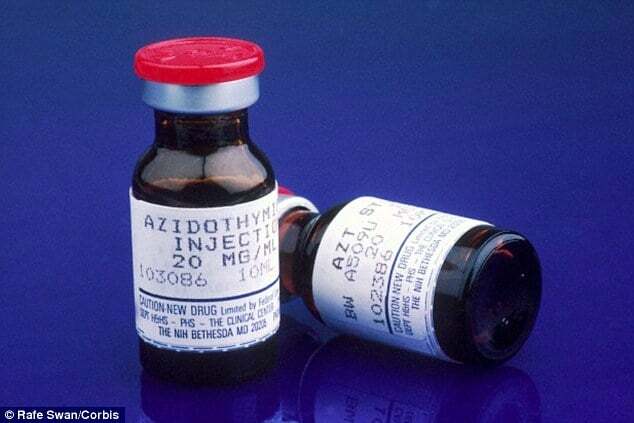 The Oxford University professor said: ‘Normally, if someone is being treated for HIV infection and they stop their medication, the virus can be detected back in the blood stream within days. A French teenager with HIV who has managed to maintain an undetectable viral load for 12 years without antiretroviral treatment was a major topic of discussion at the 8th International AIDS Society Conference last month in Vancouver. While no one is calling this case a cure, it does raise some interesting questions about “post-treatment control” and may provide clues about how to achieve a functional cure or long-term HIV remission. 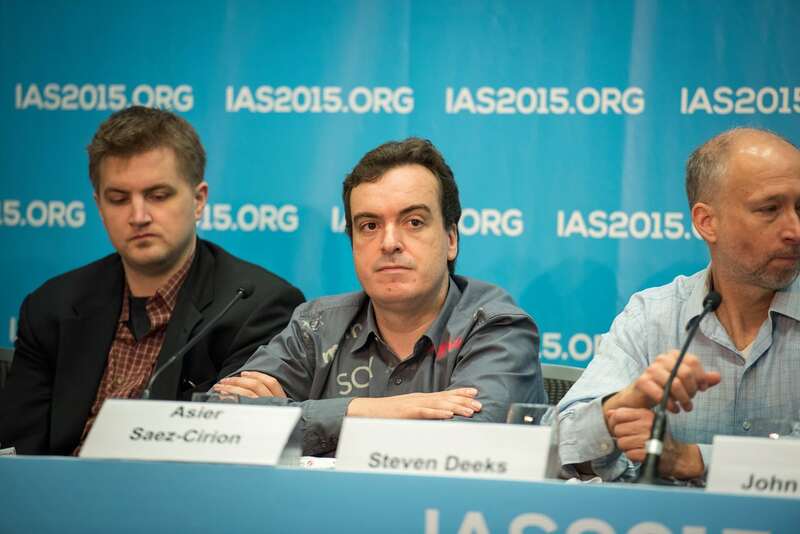 Asier Saez-Cirion from the Institut Pasteur in Paris described the case at a media briefing during the conference, and at the annual “Towards a Cure” pre-conference symposium. Scientists attempting to find an HIV cure have turned their attention to progress made in cancer therapy research and development in recent years. 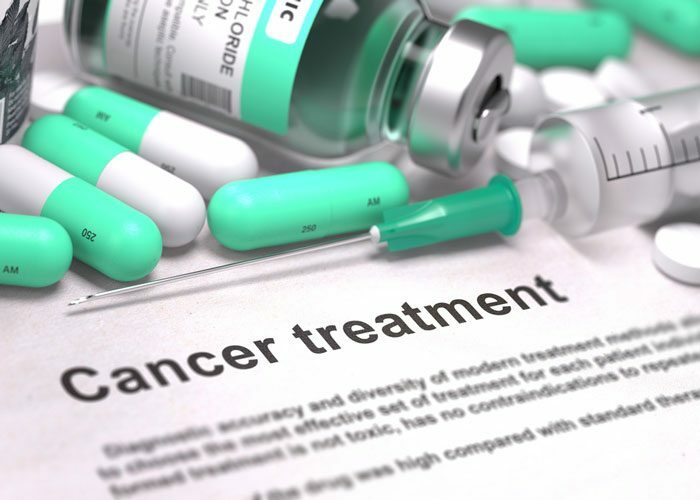 Cancer “immunotherapies” are agents that change immune system functioning in order to clear foreign, cancerous cells from the body. HIV researchers speculate that these same agents may be useful in helping the immune system clear HIV-infected “reservoir” cells that linger even in the body even with successful antiretroviral therapy. Research progress is dependent, however, on pharmaceutical companies that develop immunotherapy drugs investing in HIV cure research instead of—or in addition to—cancer research.